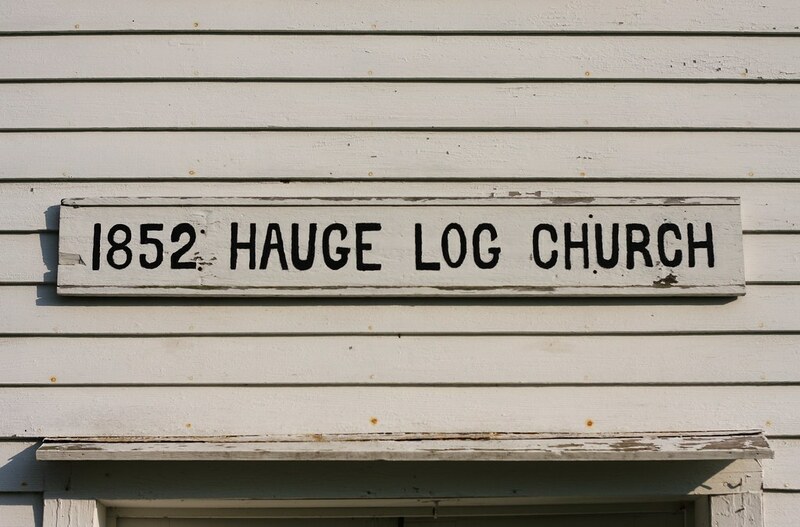 I visited Hauge Log Church out near Mt. 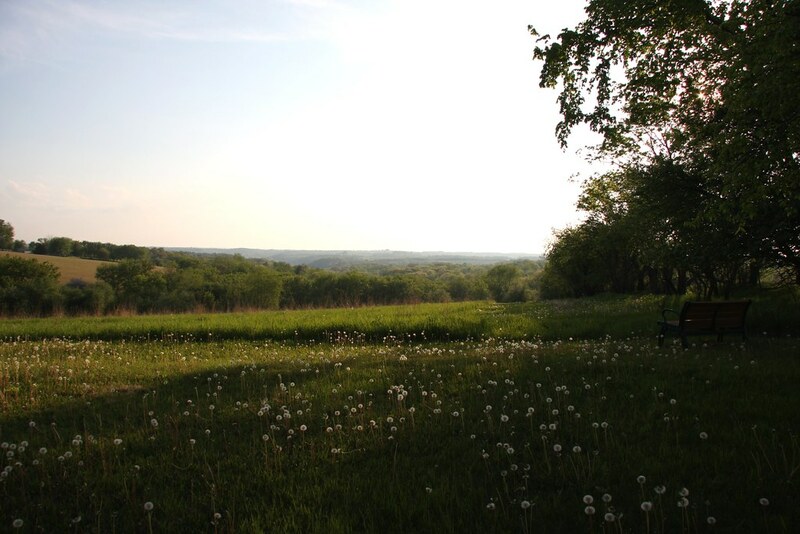 Horeb, Wisconsin on May 21. 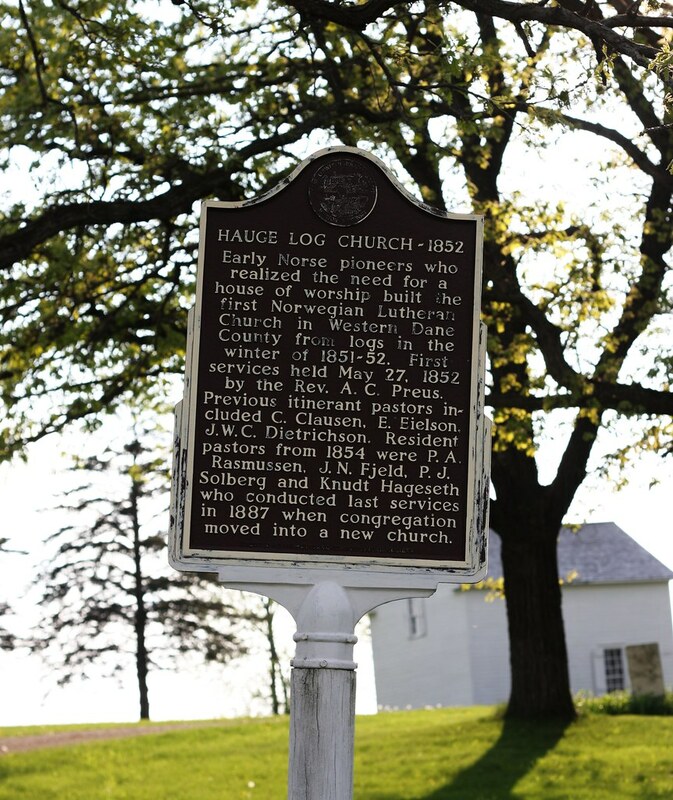 The church was built and founded in 1852 by Norwegian settlers and ended up becoming the home of the Hauge Evangelical Lutheran Congregation. It’s nestled in the hills where they settled, out amongst some farms. The church is built out of logs. It fell into disrepair after the founding congregation moved out. 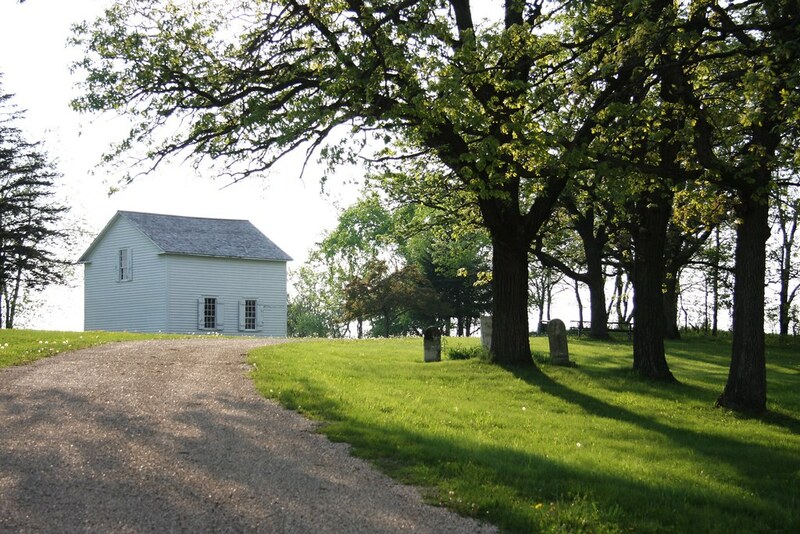 When a proposal to move the building a museum in Iowa was announced in 1926, the town rallied to keep the building here as a historic landmark. 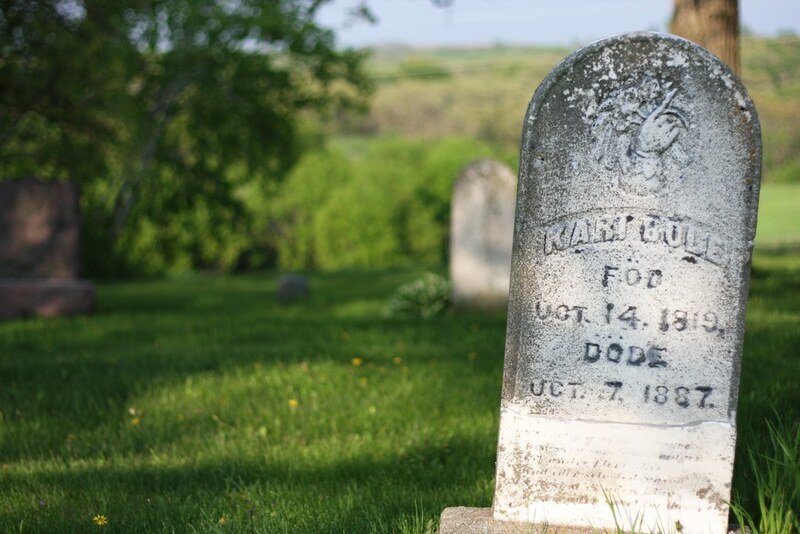 Aside from the church, there are two small graveyards – one in front of the property, and a second just behind the church. 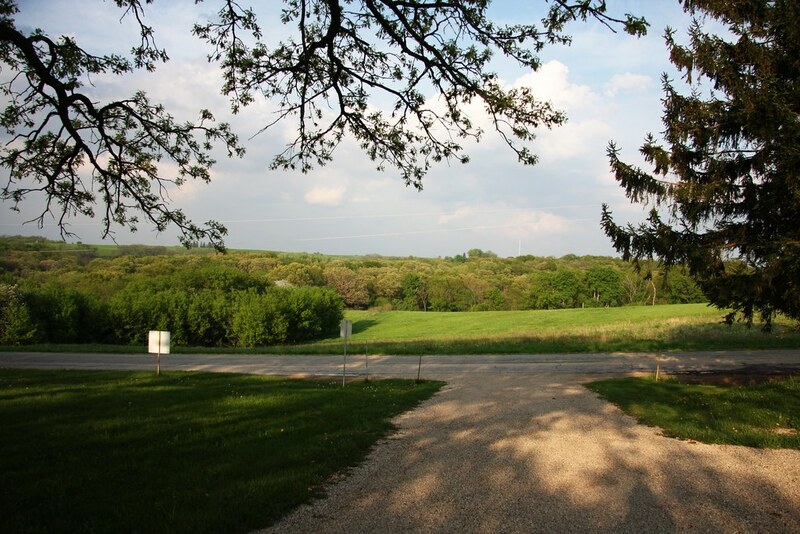 Behind the church is a scenic area, overlooking untamed land. 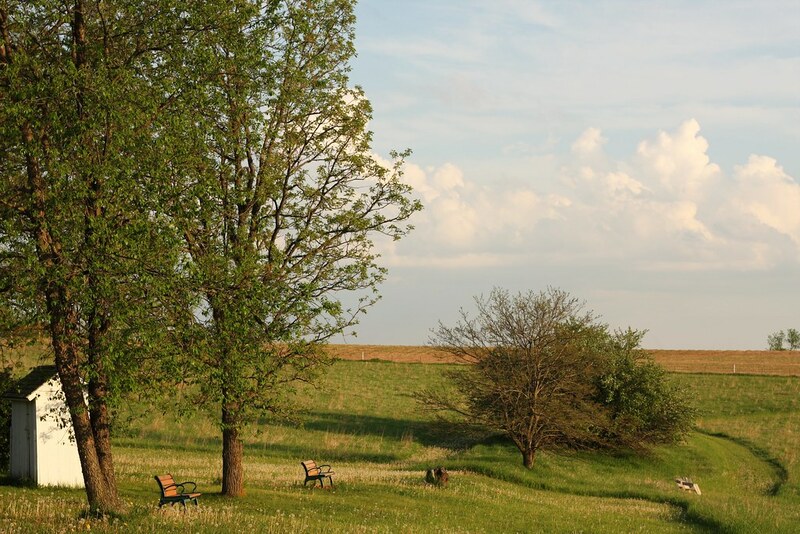 There are several benches that have been dedicated to loved ones. It certainly made for a peaceful evening as I waited for sunset. 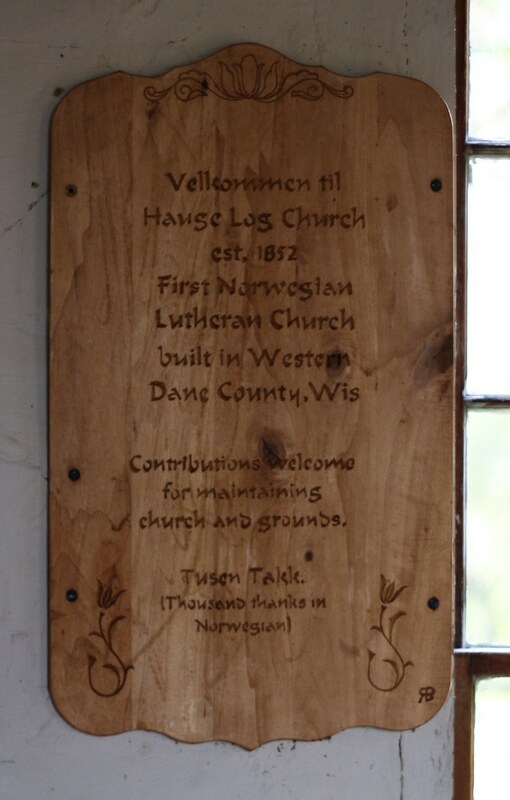 Hauge Log Church is a tiny building that has a balcony overlooking the main floor. According to their website, the entire building measures 20 feet by 20 feet. 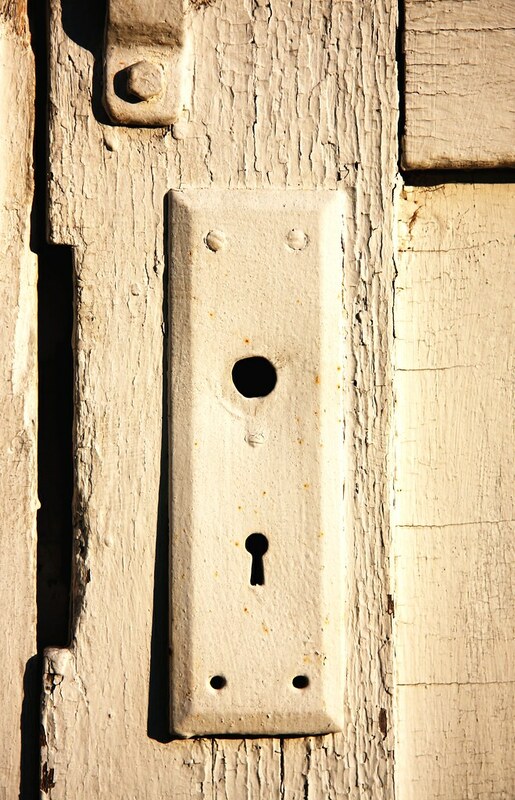 I loved the keyhole on the front door. They don’t use it anymore (they use a padlock instead), but it’s still pretty neat and vintage. I have a secret love of old, antique, wrought-iron keys. 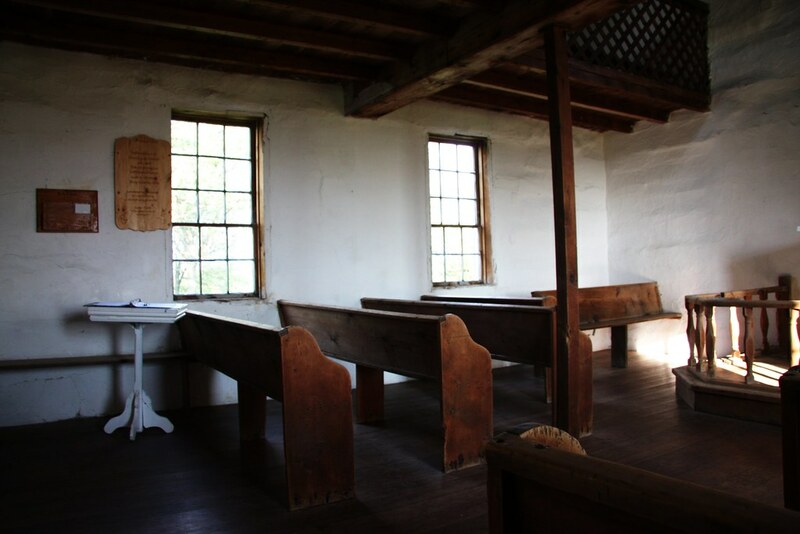 When you walk in, you see the pulpit right in front of you, flanked by a few rows of old wooden pews. The stairs to the pulpit are on the right side of this photo. Stairs may be a bit of a misnomer – they’re so shallow and compressed, I’d probably classify them as a ladder. 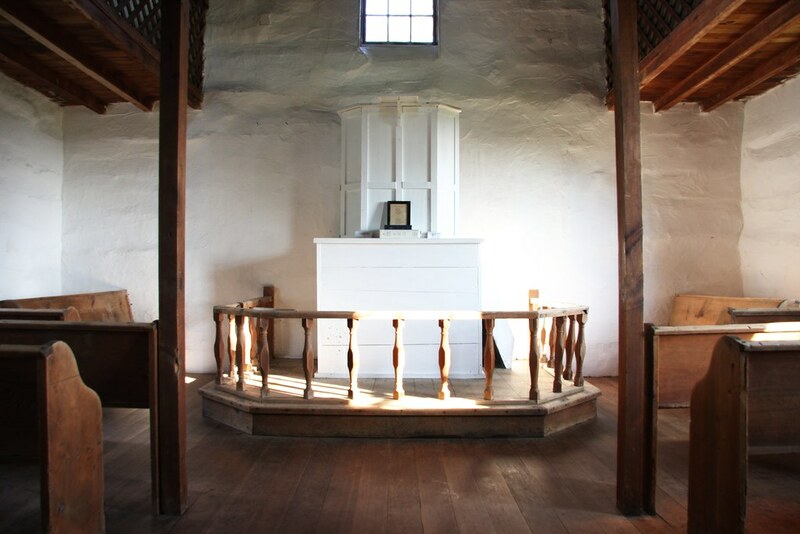 You can see a small frame leaning against the pulpit. 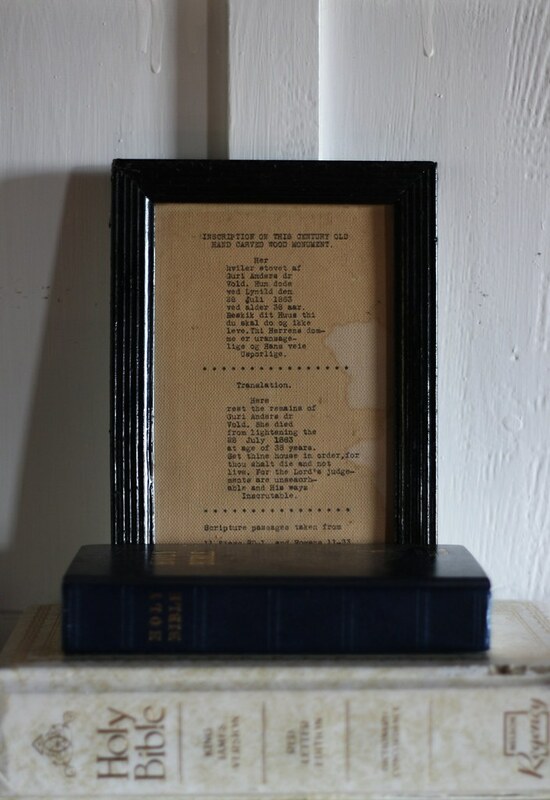 This has a typed version of the inscription on the “wooden monument” (likely the box in front of the pulpit). The inscription is originally in a Norwegian language (Google Translate suggested Bokmål), as well as an English translation. at age of 38 years. 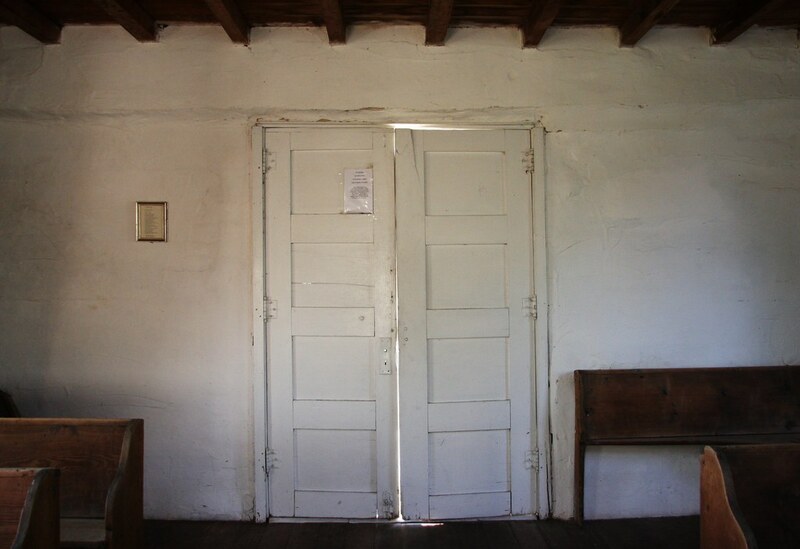 The left side of the church has a plaque welcoming visitors, as well as a guestbook. 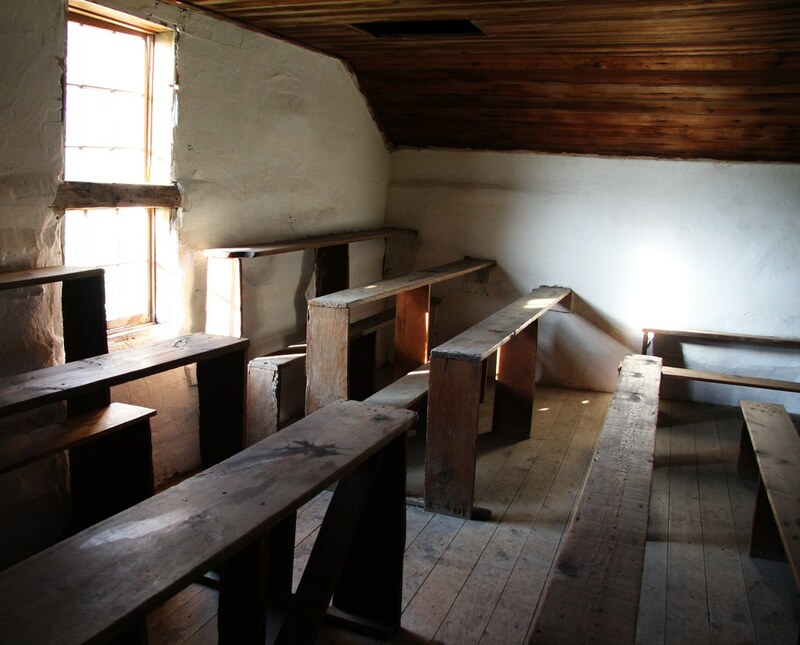 You can get a better idea of what the pews look like here. 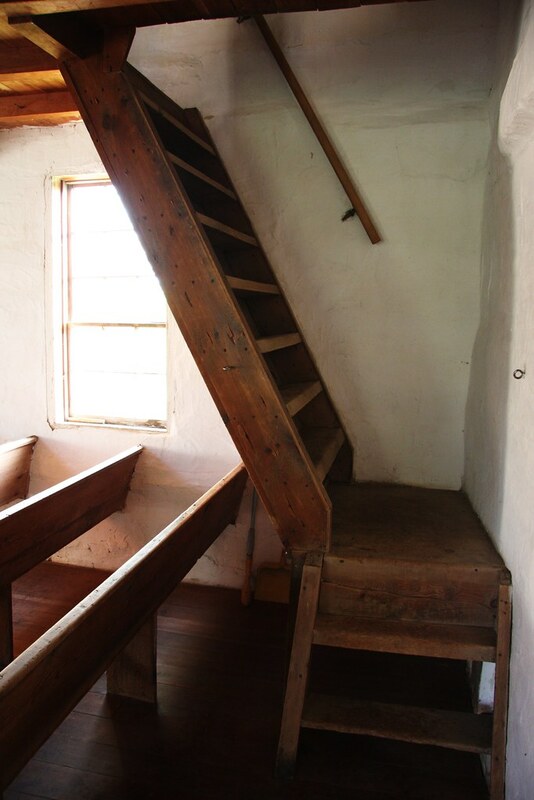 Here are the stairs to go up to the balcony portion of the church. Again, I would say it’s more like a ladder, and climbing up and down with my camera and tripod was tricky! a lonely horse stood grazing. my wife holding all our hands in hers. with the winds blowing easier. would be the gardens we had grown. 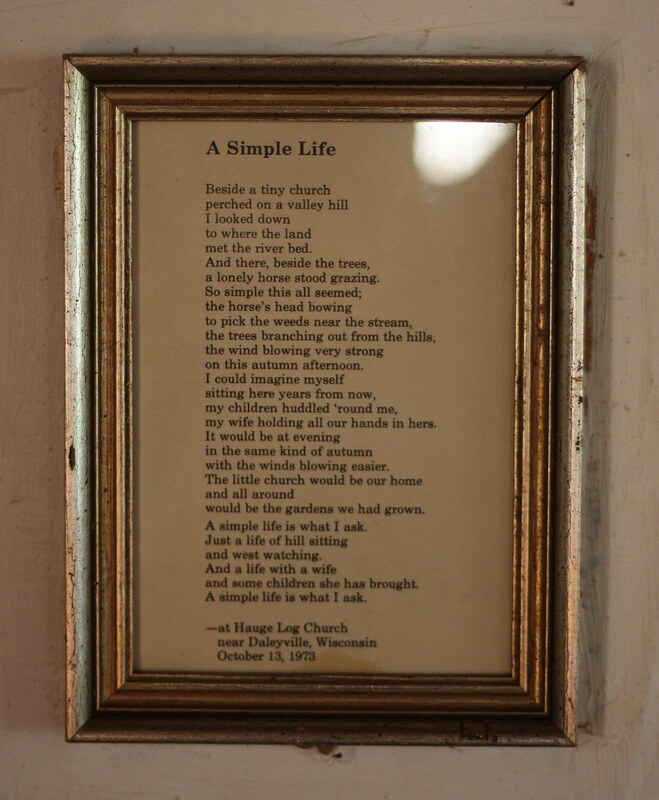 A simple life is what I ask. and some children she has brought. 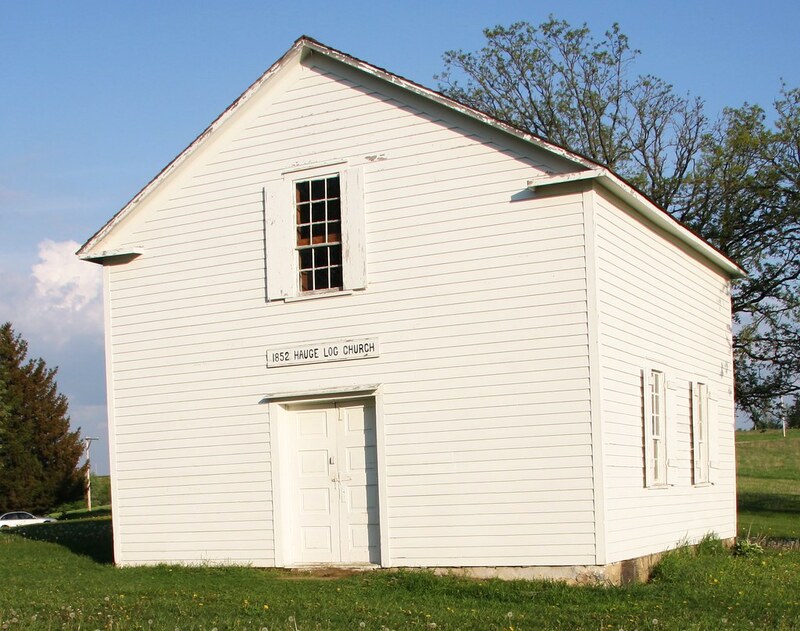 The church has been retired for some time now, as the congregation moved to a new church in 1887. 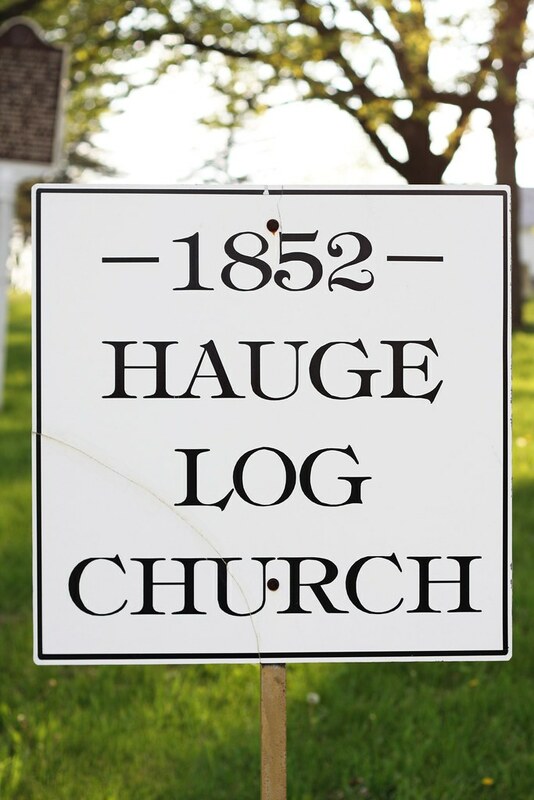 However, Hauge Log Church is still a popular location for baptisms, weddings, and funerals, as well as tourists with a historical bent. It is also open seven days a week, from sunrise to sunset. Since I’m partial to being a city dweller, the churches I go to visit are always occupied, and the land around them is full of civilization. 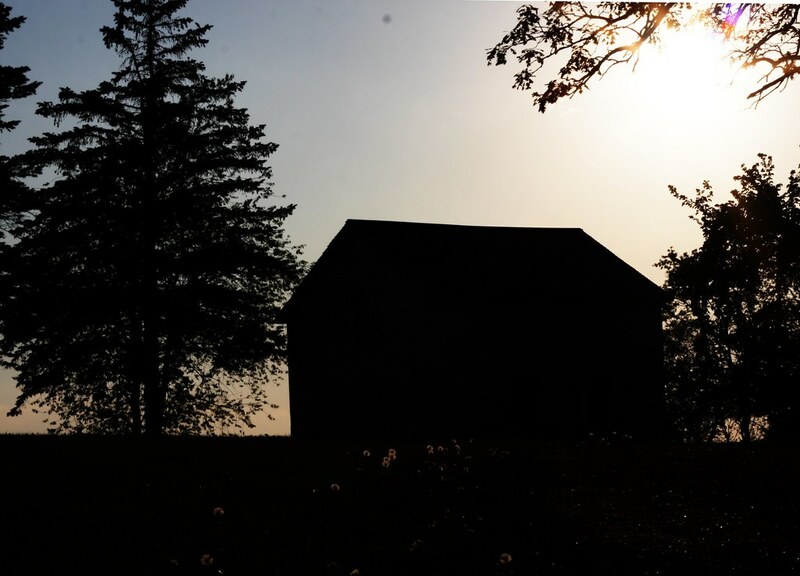 There’s something distinctly calming about visiting a church out in the farmlands – you are much more at peace from the moment you arrive on the property. I had grand plans of sticking around for the sunset, but it was a while until then. I did enjoy some of the scenery before giving up though! So, I’ll end with this almost-sunset shot. 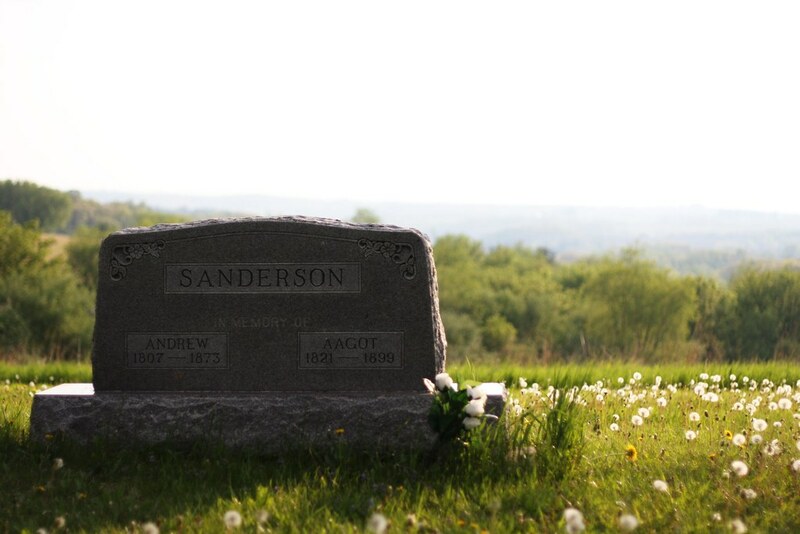 I like how you can still see some of the light reflecting off of the dandelions in the foreground.